Dammam is the capital city of the eastern province of Saudi Arabia. It is one of the largest cities in Saudi Arabia. The term Dammam came from the word ‘damdamah’ which indicates the return of fishermen. The city of Dammam was first captured by Al bin Ali. It is the centre for all judicial and administrative work of the province. The city of Dammam is governed by a municipality. Dammam has over 41lakhs population according to the census of 2012. Also, this city is ahead in terms of export and import services. You should not book hotels during the winter season. The harsh weather condition would make it difficult for you to enjoy. The monsoon season is considered to be the best season to book your hotels. Dammam does not receive a lot of rain, plus the temperature remains quite pleasant during this time. 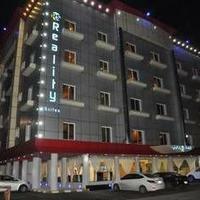 Book your hotels which are closer to the main city. 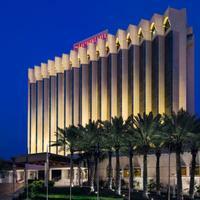 You must make sure the bus stops are at a walking distance from the hotel. Unless, you have a private car, try avoiding hotels which are on the outskirts. 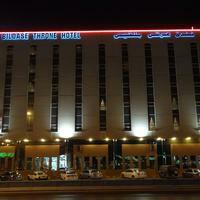 On the basis of your budget and expenditure, you can book hotels in Dammam. 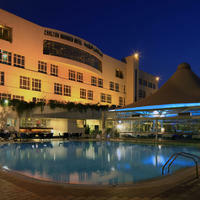 You can check out Cleartrip website to book a budget or luxury hotel. They provide you with a host of options at varying prices. If you’re visiting a place for the first time and are unsure which hotels to book, you can always check online reviews before finalising. 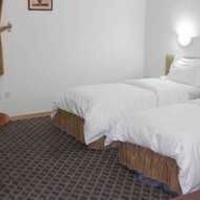 The online reviews would give you a rough idea about the hotel services. 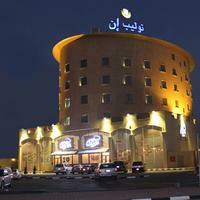 The Loloah Aldamam Aparthotel and Hams Al Lyil are the two nearest hotels to the airport. Staying closer to the airport will save a lot on your time. 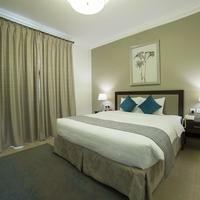 Book rooms at the park inn and hotel Novotel, which are closer to the cobra amusement park. Take your children to the fun filled park which is at a walking distance. 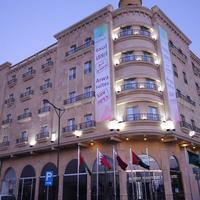 The prices of hotels in this city range from SAR 97 to SAR 625. 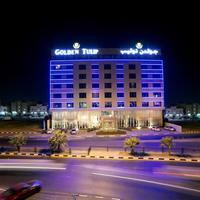 Most of the hotels fall under 3-star and 4-star category. 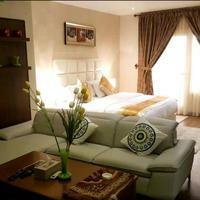 There are home stays as well as service apartments too in Dammam. How to reach to Dammam? By air- Located 50 kilometres away from the city centre, the King Fahd International Airport is situated in the middle of the desert. The area beside the airport is surrounded by huge sand dunes, camels and caravans. Both the international and national flights take off from the same terminal, connecting Dammam to cities like Jeddah, Dubai, Manila, Delhi, Istanbul, and Riyadh. On hourly basis, SAPTCO provides their bus services from the nearby bus station to the airport. By Road- The time duration to reach Dammam from Dubai via road is around 8 hours; the distance is 887km. The SAPTCO Bus terminals are located on the eleventh street, which is 700 metres away from the city centre. SAPTCO along with SABTCO provides their bus services all over the country. Their bus services are regular and frequent. The city of Dammam is well connected via roads. The city is interlinked by the GCC road and the modern highway network. From Dammam, Riyadh is 4 hours away, Khobar is 15 minute away and Bahrain is half an hour away. By train- The Dammam railway station is located eight kilometres away from the main city. The railway station connects Abqaiq, which is 40 mins away, Hofuf and Riyadh. The train facilities are less in Dammam compared to other cities. Trains can also be availed go travel within the city. Steakhouse Dammam focuses on American and gluten free foods is located on the Prince Mohammed bin street. Manoosha Alreef also specialises in Lebanese cuisine. 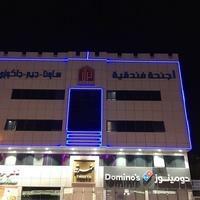 This restaurant is situated at Prince Faisal Bin Fahad Fahad Road. Heritage Village at Corniche Street serves Middle Eastern cuisine and vegetarian foods also. The Dolphin Village: The dolphin village is a theme park situated at Cornish road, Dammam. It is a water park for all age groups. One can visit the place with their families and friends to escape from the scorching heat. Sea Front: Sea front is rocky beach, which is open for twenty four hours a day, a must recreational place for all. This beach is situated at Ash shati Al Gharbi, Dammam. Coral Islands: These are man-made islands for ferries and a popular picnic spot for many. Adventure World: Take your kids to this adventurous amusement park; it is filled with rides and roller coaster that you and your kids will definitely enjoy. Happy Land: Happy land would surely lift up your mood with their go kart racing tracks. The people of Dammam are mostly religious and orthodox. They are not too progressive in terms of thinking. Western Arabic is spoken by the people of Dammam. The western Arabic is also known as Hejazi Arabic. Rice bowl, senthil, tandoor and grill are very popular types of food in Dammam. As a matter of fact, alcohol is banned in Dammam. 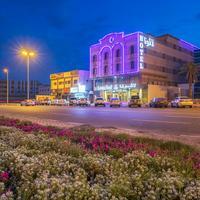 There are no establishments of any pubs or bars in Dammam. For lunch, Yemeni Mandi holds the popular choice. Among the popular grilled meats available in Dammam are shawarma, kofta and kabab. 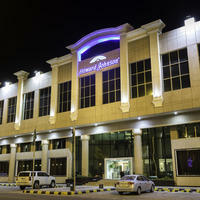 For shopping, visit the Othaim Mall and the Marina mall in Dammam. The national sport of Saudi Arabia is football and is very popular in Dammam. The city’s very own football ground, Prince Mohammed Bin Fahd Stadium organises several football matches. Other important sports in Dammam includes, basketball, wind surfing, scuba diving, etc. The culture of this city is strongly influenced by the religious elements of Islam. 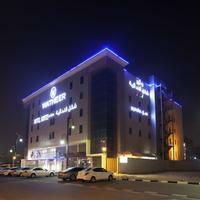 Khobar: Located in the eastern side of the province and you travel there in fifteen minutes by car. 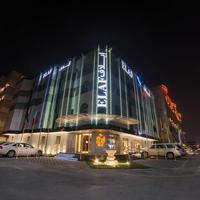 Bahrain: Bahrain is also quite popular among the tourists, and it is located 100kms from Dammam. 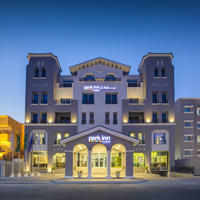 Jubail: Visit the beautiful city of Jubail from Dammam; it is just 110kms away. You can also take the city bus service. Hofuf: Located at a distance of 160kms from Dammam, it is another great place to check out for the tourists. The city of Dammam has got desert type climate. During winters, the temperature fluctuates between mild cold and warm; but at times, it can fall below 8 degrees. Summers are extremely hot and have the tendency to exceed 45 degrees Celsius. This scorching temperature can last upto five to six months. Dammam hardly experience any rainfall except in the months of December slight rainfall can be noticed. The highest temperature in Dammam has been recorded at 51 degrees Celsius in the month of June and the lowest was recorded at 8 degree Celsius in the month of January. Falling under the desert type climate, the city of Dammam faces extremes of temperature. In summers, the temperature can shoot up to fifty-one degrees. 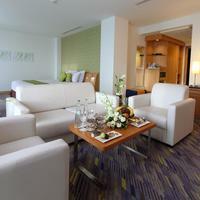 Although temperature will be average during March and suited for hotel bookings. The months of June to September holds a moderate temperature. It is neither too hot nor too cold. 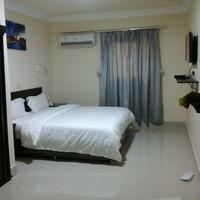 In fact, the rates of the hotel are more or less reasonable. 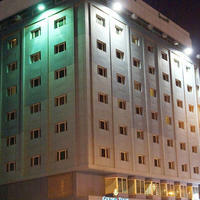 August and September would be a suitable time to book hotels in Dammam. Avoid visiting Dammam around this time. The temperature falls down as low as eight degrees. The month of December even faces rainfalls and hail storms at times. Eastern Province summer festival: The eastern province summer festival takes places during the month of July. It showcases the different cultures of Saudi Arabia. The tourists visiting this festival come across various entertainment factors, cultural events, musical concerts and sports. National Day: Do not miss out the national day where you will get a glance of the cultural roots of this city. The local musicians come together and perform on this day. Their soulful voice is something you wouldn’t want to miss. Islamic New Year: One of the most important events is the Islamic New Year and is celebrated by each citizen of Saudi Arabia. Oriental night’s festival: This festival is organised at King Abdullah Park. This festival is said to attract more than one lakh sixty thousand tourists every year.